Does COMP Cams RP1418-12 fit your vehicle? RP1418-12 is rated 5.0 out of 5 by 1. Rated 5 out of 5 by Rooks Defense from These suckers really do work! Mercruiser owners note! 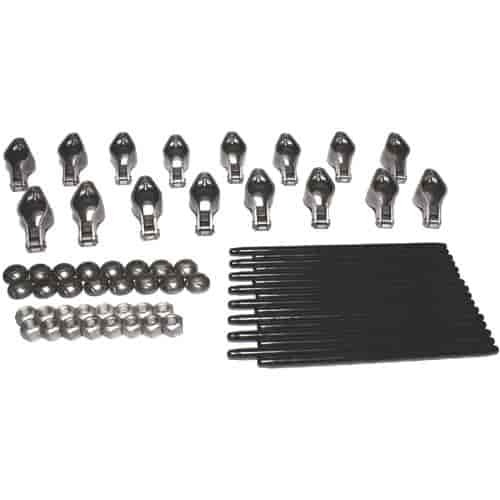 In an otherwise stock 1998 4.3L Mercruiser, I installed only the pushrods and rockers from this kit with stock pivots and nuts )First on only the intakes and then the full set). Timed acceleration and top end showed improvement with each stage. Note the valve train differs with various years, so know what you have and plan carefully.